Collectible Antique, Depression Era and Elegant Glassware. Variety of Vintage and Antique Glassware. View our Links Page for links to the collector's society websites. 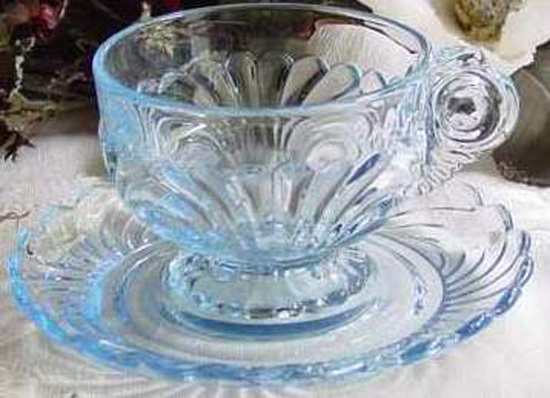 China, Cup & Saucer Holders are also available to display your glassware. Blue Studio Art Glass Vase Bohemian?